Built on the site of the Palace Variety Theatre and Gambling Hall, an infamous 1860's entertainment establishment, Palace Lofts is one the most sought after residential loft developments in the historic Lower Downtown District (LoDo). Palace Lofts is located near the banks of Cherry Creek and within easy walking distance of downtown Denver restaurants, stadiums, and arts & entertainment venues. The location affords easy access to major highways while bypassing center city traffic congestion and offers spectacular mountain and city views from it's loft residences. The building's architecture is a masterful combination of the old and new. Varied-colored brick and steel are utilized to bridge the lower and upper floors of the building with historic and contemporary expressions. Set-backs in a variety of locations provide numerous roof-top terraces accessible from the living areas. Generous-sized decks create much-desired additional outside living space. Special attention to the quality and detail of the street level design provides a warm and inviting pedestrian scale to the bulding. 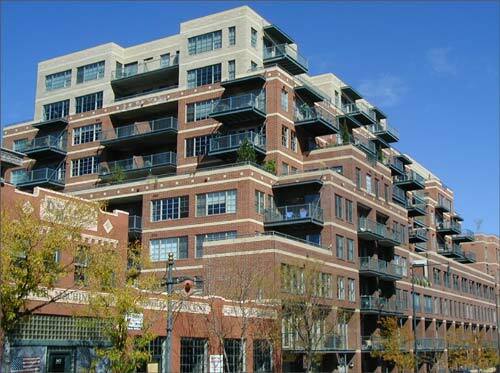 HomeToDenver brokers specialize in downtown Denver Loft properties. website is prohibited by law without written permission from HomeToDenver LLC.